Liquid organic fertilizers are a great choice when you need nutrients to be available to the plant quickly. Second, many organic liquid fertilizers contain a large amount of microorganisms and critical trace minerals, which can help to replenish poor or damaged soils. Chemical fertilizers are readily available to plants, but organic fertilizers usually must be digested by bacteria before your plants can use them. However, many organic liquid fertilizers ARE readily available to the plant and soil. So for a quick shot of nutrients, an organic liquid fertilizer may do the trick. You can either spray them over the root zone and water in, or most of them can be fed to the plant through the leaves. Many common garden herbs and weeds can be steeped in water for three days to make an organic green tea to feed to your garden. A tea rich in organic matter, enzymes, and a vast array of beneficial microorganisms, including bacteria, fungi, protozoa and beneficial nematodes. Compost teas are made by steeping compost in water for 1 to 3 days, with constant aeration. Worm castings contain plant nutrients, growth enhancing compounds, beneficial microbes and are a full of nutrients. They make a great tea. You may purchase worm castings from your garden center or order online. Kelp is a liquid organic fertilizer that comes from any number of plants that grow in the sea. Kelp helps to release minerals in the soil and has growth-producing hormones that aid in plant maturation. It is available in dried, powdered form as well as liquid concentrate. The powdered form may be mixed into water to form a liquid organic fertilizer. One of the more interesting Organic Fertilizers is concentrated sea minerals. Though it doesn’t have much calcium, nitrogen and phosphorus, concentrated sea minerals are a good source of potassium, magnesium and sulfur. Best of all, low sodium concentrated sea minerals are contain the highest density of the full spectrum of trace minerals of any fertilizer available. Sea minerals are in ionic form, and are readily available to the plant. Many times leaves will turn a noticeably darker color of green in just 2 to 3 days when sea minerals are sprayed on the leaves. Darker green means more photosynthesis! Sea minerals are also a good food source for beneficial bacteria in the soil, which strengthens the soil food web. Fish emulsion from the ocean is a good source for nitrogen, phosphorus, potassium, carbon and calcium, plus it contains all of the trace minerals of the ocean (not so, fresh water fish). Fish fertilizer's high carbon content makes it an excellent choice for legumes like beans and peas, which love carbon. The greatest negative about fish fertilizer is the odor. Try not to get it on your hands or clothing. Your cats may love it, but family members might not appreciate the aroma, which may linger on your yard or garden for days, unless it is watered in. In spite of it's odor, fish emulsion is a fast-acting fertilizer, and is a wonderful source of many of the nutrients needed by the soil and plant. I use it extensively in my garden. Add in some concentrated sea minerals, and you have a super fertilizer! Liquid humic acid are derived from decayed organic matter called humates. Humates are a great soil conditioner, and help to make nutrients available to the plant. 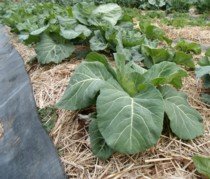 They stimulate bacterial activity, help to increase airflow down into the soil, and help to create humus, which acts like a sponge to hold water. Humic Acids are an excellent source of carbon, nitrogen, phosphorus, potassium and trace minerals. There is a product that contains kelp, sea minerals, fish emulsion and humic acids. It also contains over 70 beneficial aerobic bacteria, fungi and other microorganisms. Its greatest strength lies in its ability to bring to bring balance to the soil. Another great strength is its ability to prompt the plant to sequester hugh amounts of sugars (carbon) through the roots into the soil. This rapidly builds organic matter and results in highly structured soil. What is your main goal of using organic fertilizers? You want to grow healthy food! Personally, I want my food to be my medicine! So far, it seems to be working, praise God! Gradually my health issues have just disappeared. May it work equally well for you. 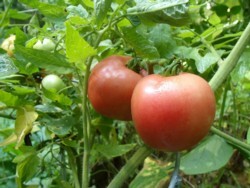 Click here to learn more about Healthy Vegetable Gardening.